Over the decades, the intersection of Frankford and Cottman avenues in the Mayfair section of Northeast Philadelphia has been a mass celebration zone for big professional sports wins in the city. Philadelphia police are warning merchants and bar owners in one Northeast Philadelphia neighborhood to take precautions ahead of the Eagles' NFC Championship game. In a letter sent Monday to business owners in Mayfair, police in the 15th District endeavored to "respectfully request and suggest" they take a number of actions ahead of the 6:40 p.m. game against the Vikings at Lincoln Financial Field. 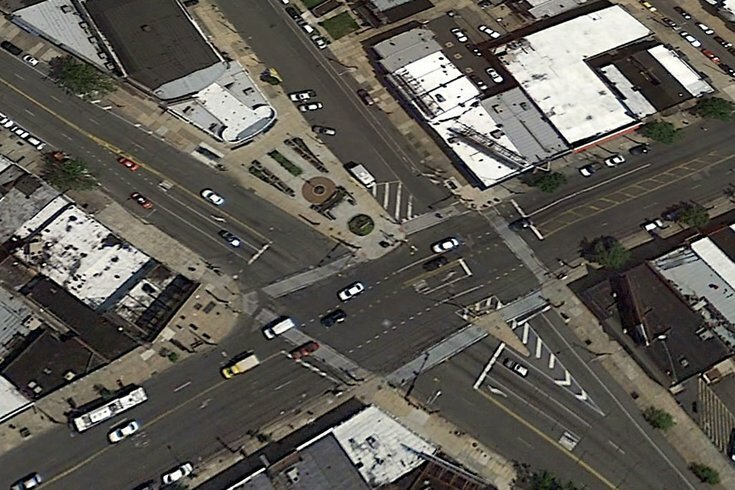 The area of Frankford and Cottman avenues has attracted tens of thousands of fans celebrating big home-team wins, including the Phillies' 2008 World Series win and both Stanley Cup wins by the Flyers in the mid-'70s. Police asked merchants to ensure that their security grates are locked and secured, and that anything outside the business – trash cans, flower pots, etc. – be removed ahead of the weekend. Bar owners were asked to sell alcoholic beverages in plastic cups and refrain from selling bottles for take-out. Police said they would enforce open containers and request that bars keep patrons from leaving their premises with them. All business were asked to make sure their surveillance cameras were operating Sunday night. No parking signs will be in effect from 3 p.m. Sunday to 3 a.m. Monday along the 7100, 7200 and 7300 blocks of Frankford Avenue as well as the 3500 and 4000 blocks of Cottman Avenue and the 2500 block of Ryan Avenue, police said in the letter. "The Philadelphia Police will certainly be present in the area to circumvent any problems," the advisory ended. "We hope that with your cooperation, this will be a safe and damage free celebration."